Paul Merton is #EoTFMH0001 and is the first of the End Of Terror’s Famous Mental Healthers #EoTFMH Series. Back to Mr Paul Merton… I think if you watch the video above you will blatantly see that he is a totally bonkers. I say that in the nicest possible way. Paul Merton is an absolute hero of British humour. I can’t think of any comedian in history who can be compared to him in terms of style. He is well known for his regular appearances as a team captain on the popular BBC panel game Have I Got News for You, as a regular panellist onRadio 4‘s Just a Minute and as one of Comedy Store‘s Comedy Store Players. I am a fan of Have I Got News For You, and it is Merton’s sharp wit and off-the-ball remarks on this show which really make the whole series. Balanced against Ian Hislop’s dry satire, Merton’s laddishness touches the nation’s hearts and he brings what is essentially a current affairs show of a serious nature to every man’s television set. Whether its his woodwork O-Level that he harps on about or just the sheer wackiness of his bizarre thinking, Merton is a born entertainer and he appeals because of this to the common man. 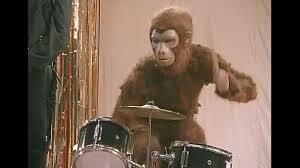 I know he has done other series’ on TV and its great that his talent is so recognised these days. There was a decent run on BBC2 about his comedy influences (all in black & white) and a great piece of television came with his travel series, an excerpt from his visit to China being shown above. I thought it was great that he managed to get away from that stinking ‘Have I Got New For You’ Studio’ for a change and it really showed the man in a different light, a man of the world, with some interesting philosophies that transcended his funny personality but also simultaneously incorporated it. 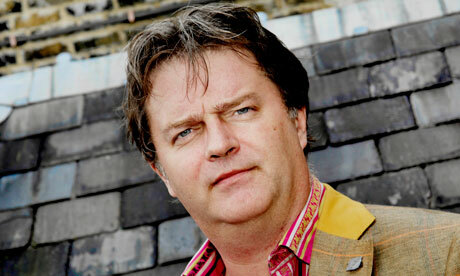 Paul Merton makes the list as he suffers from severe depression. He has given public interviews about this and it is common knowledge although he doesn’t seem to be baited in any way by it, even in the harsh environment of Have I Got News For You. It can be traumatic how the public deal with you when you have spent time in the Mental Hospital. That ‘lunatic’ brand is not an easy thing to shake off, especially at a time when you are recuperating from the rather nasty time you might have had during your hospitalisation. Shortly prior to becoming a household name on Have I Got News For You, Paul Merton booked himself in for six weeks at the Maudsley Psychiatric Hospital which he put down to overwork caused by overexcitement at getting where he’d wanted to be all along, all aggravated by anti-malarial pills. He was hallucinating conversations with friends, and became convinced he was a target for the Freemasons. Whatever his troubles with mental health, I feel that Paul Merton is a great inspiration to us all and he has gone on to prove that a successful life and career can develop in the post-mental hospital life of an inpatient. We hope that Paul Merton is pleased to be branded with his #EoTFMH tag. This entry was posted in #EoTFMH, Famous Mental Healthers, Mental Patients and tagged celebrities, China, Comedy, EOTFMH, Famous Mental Healthers, funny, Have I Got News For You, Mental health, Paul Merton, Psychiatry on 6th October 2011 by Wez G.
But surely, expulsion is not the answer! Lie down on the couch! What does that mean? You’re a nut! You’re crazy in the coconut! Lie down on the couch, what does that mean? Can you think of anything else that talks, other than a person? A-a a-a-a-a, a bird? Yeah! Ha ha ha ha ha !!!! Um, a record, record, record ! I’ll leave you to dissect and analyse the lyrics yourself… It is a great little anthem, whatever your views are on the antipsychiatry movement and the End Of Terror. This entry was posted in #EoTVibe, End Of Terror Vibe, Music, Psychiatry, Videos and tagged amusing, end of terror vibe, EoTVibe, Frontier Psychiatrist, funny, Mental health, Mental Health Music, music, Psychiatry, sampling, The Avalanches on 6th October 2011 by Wez G.